In this post I will be sharing how to get rid of whiteheads. Just like many of us suffer and struggle to get rid of acne the same way these whiteheads can be nightmare for those who have it. I was also the one who had them. I have suffered from whiteheads and know how it feels when you try hard but they will just not go away. It started when I was 12 and they were there till 17 if I remember. For more than 5 years I have struggled hard to remove those whiteheads. I tried every possible thing that came my way. But there were no satisfactory result. Those whiteheads were all over my nose and the area surrounding on the both sides of my nose. I had wheatish complexion that time due to which the whiteheads on teh nose were even more visible. I was not aware about the reason why these whiteheads have erupted. But later on things became clearer as I came to know how the whiteheads were formed on my nose. There were some remedies that I had used which have proved really helpful in removing these creatures from my face. Whiteheads are type of comedones that are formed when the pore or hair follicle gets blocked or clogged by sebum, dead skin and bacteria. When this blocked pore comes in contact with air it gets oxidized and turns black called blackheads but when there is a thin layer covering that clogged pore, it remains white as it does not comes in direct contact with the air and these known as whiteheads. They can be seen as tiny white pearls just like the prickly heat. Please do not try to prick them since by doing this, unintentionally you are making them to cause more infection . It can also leave permanent scarring. 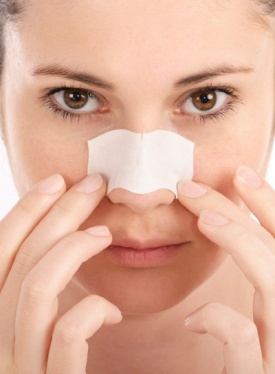 Steaming your face: Steaming deep cleans the clogged pores and makes the dead skin soft and drains down the impurities. It also helps in improving blood circulation.Once you are done steaming, you have to make sure to apply a toner or splash some cold water so as to close the pores that has been cleansed while steaming. Steaming keeps the skin clean and slowly the whiteheads number will reduce. Lemon: Apply lime juice over that area where you have whiteheads. Gently massage this over the whiteheads affected area with the lime juice for around 10 minutes. Wash it off with plain water. I used to leave it overnight though. I cannot stress enough how lemon has proved helpful and till date I do this so as not to invite these whiteheads again. I shudder by the very thought when I had them for years. I would also like to tell you that if you are applying lime juice for the first time or you have extra sensitive skin then do dilute it with some water or rose water. 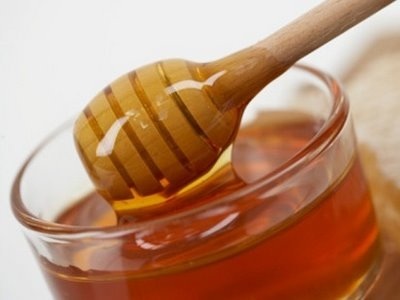 Honey: Honey is also effective in treating whiteheads. You can also use a mixture of honey and lime juice on your entire face. It is not only effective in case of whiteheads but also for your overall face in general. If you wish then skip lemon and apply little warm honey only on the area with whiteheads. Please do not burn yourself. Fuller’s earth: Apply face pack of fuller’s earth or any clay face pack. You can either make a paste of fuller's earth with water or rose water. Let it sit for 10 minutes and then rinse off with plain water. It will take off excess oil and will help in curing the whiteheads. These were the remedies which I do till date so as not to invite the whiteheads again. Those of us who have faced it or are still struggling then they might know how it feels when you have a part of your face covered with whiteheads. Gradually, I noticed that the smaller ones were going away and the bigger ones were coming out of the sheath/ layer of skin, then a white minute egg like structure will come out of them and the area will get healed. Applying toner can help then. Make up: You should avoid makeup with oils at all cost. They are the culprits since they are more likely to block the pores due to which skin is not able to breathe resulting in skin problems like the so called whiteheads or blackheads. May be once or twice it would not hurt but wearing heavy makeup daily can show adverse results in the long run especially when you have oily skin with over active sebaceous glands and that can be further accentuated when they are not removed properly or sleeping with your makeup on. Try to go for oil free and water based makeup. Keep it light as possible. And skin care products that are also oil free and hypo allergic. Water: Whenever you are struggling with any skin problem it is always said that drinking lots of water does help. Drinking lots of water can help detoxify your body and keep skin hydrated and healthy not just for the whiteheads. Lime water: In the morning once you wake up, try to drink a glass of warm water with a little honey and lime juice. It cleanses your internal system and detoxify the body. You will be amazed to see the glowing skin you will get once you in corporate it in to your daily regime and make it a habit. So, these were the home remedies and measures for whiteheads that I have used and which helped me to finally get rid of my whiteheads on and near the nose area. I hope this information helps you as well. If it does not then also I am damn sure it will fetch some positive results. Try these and be patient. Hope the whiteheads will leave you soon !!! Thank you,it was my personal short story and methods. Thanks for the useful tips..i have a few on my forehead. hopefully will get rid of them now.. Pleasure Prachi. Even i hopw you get rid of them soon! Great post. After steaming, a gentle scrub of rice flour + water/lemon juice also helps in clearing white heads. This is my personal experience. Yes, gentle scrubbing after steaming makes the exfoliation more effective and helps get rid of them too. Same here dear, even i keep on getting them so i religiously do the home remedies. I wish I wasn't lazy and I did all this.